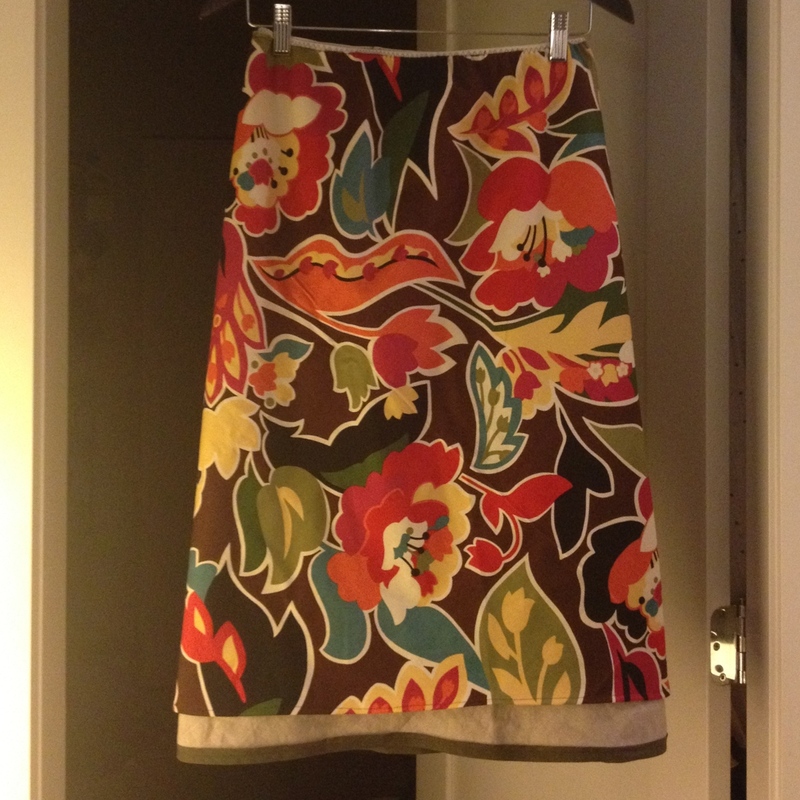 Today I made use of my birthday present from Shan and Heather and attended a skirt-making class at Spool of Thread. Look at my skirt! The fabric looks beige, but it’s actually a gold linen. It’s crazy shiny up close, and wearing the skirt is kind of like wearing a disco ball. Also, because I had to be fancy and because bias tape is the greatest thing ever, I edged the skirt in olive green for contrast instead of just hemming it (I may have zero confidence in my ability to cut a straight line, and bias tape hides all my crooked sins quite nicely and also looks great). The other side of the skirt is this crazy Japanese fabric I’ve had for a while and was holding on to for the perfect project. I purposefully made the inside shorter so the edged linen shows underneath, because see above re: fancy. The skirt fits perfectly, and looks awesome if I do say so myself. Hooray! 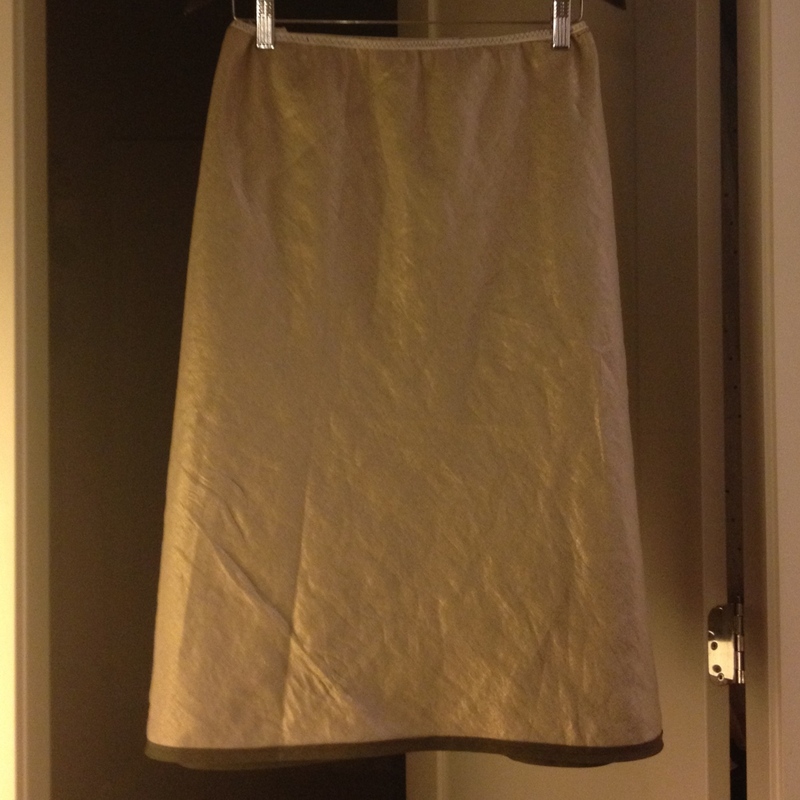 Successful skirt making is successful and also easy! The skirt looks so awesome! 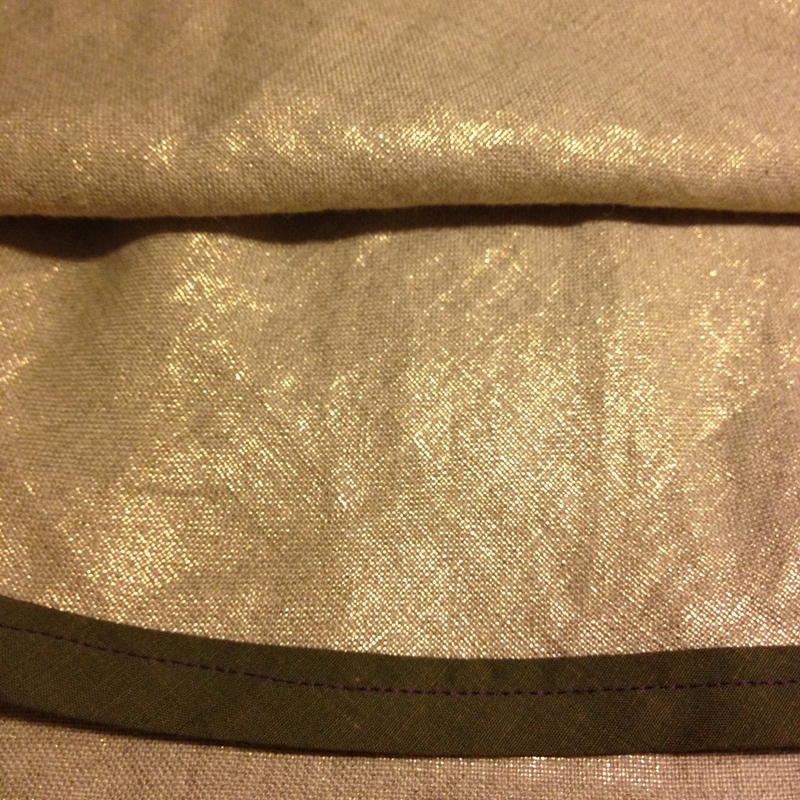 I’m totally in love with that shiny linen fabric too. Now I must keep an eye out for some next time I’m lucky enough to go fabric shopping. 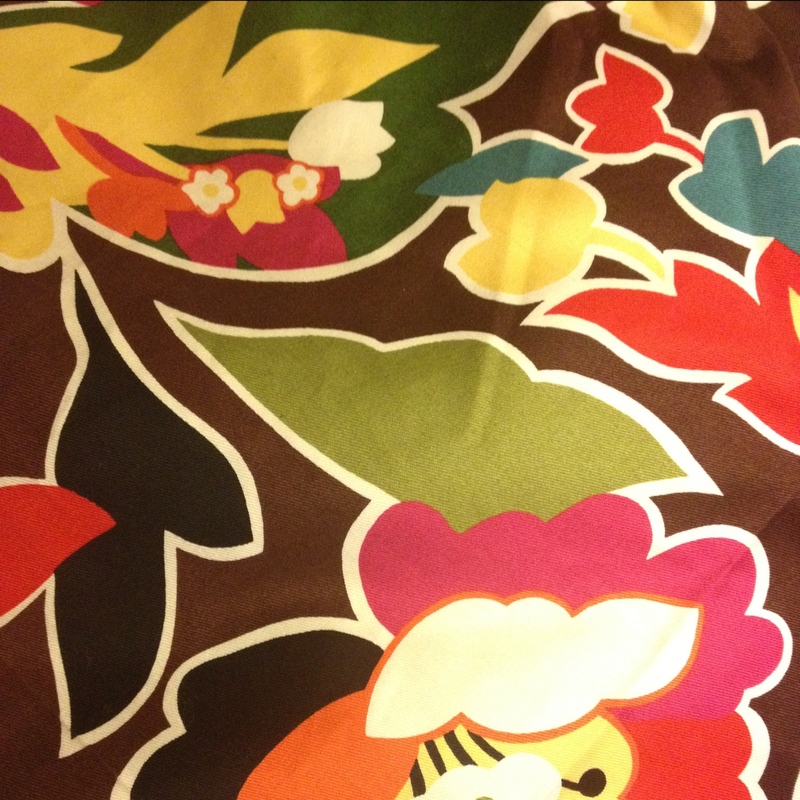 Nice work and beautiful fabric. You are one very talented lady!